Everyone loves a secret Shashlik Recipe, (Шашлык) usually passed down from family to family. It’s a type of shish kebab meat skewer popular in Russia and Central Asia and around the world. Some other popular skewered meats are Japanese Yakitori, Asian Satay, and Greek Souvlaki. Everything from Kefir to Vinegar to Pomegranate Juice is used as the secret ingredient to make the shashlik meat flavourful and juicy. Some people like to use a food processor to puree the onions, but I don’t like burnt onion pieces on the skewers. I prefer to slice the onions, then fry the marinated onions afterwards to use in other meals (if you are putting your shashlik in a pita, the fried onions will be great on top). Traditionally Russian Shashlik is cooked on a long narrow open style bbq (without wire grills), called a mangal. Metal skewers are required, called shampuri. You can’t use bamboo skewers for this meal! Lamb is traditionally used for making Shashlik, but I’ve had deer, moose, pork, beef or even kangaroo shashlik, really any red meat will do! You want the onion marinade to have time to marinate, so overnight is best. I once tried using red wine in my Shashlik marinade, but will never do that again as I put too much in and my meat was purple! That was fun serving to guests! If you are reading this and remember that meal, I’m sorry! So what’s the secret part of my Secret Russian Shashlik recipe? Simply this. Use the very best cut of meat you can afford, allow to marinate with LOTS of onions as the acidic agent, add herbs and spices as required, and finally add WATER to mixture. That’s it. Let me explain. Adding water allows for the flavours to combine together and to absorb into the meat, keeping it juicy as it cooks. Salt added to onions releases acidic juices, onions are acidic so use lots!. Don’t mask cheap cuts of meat with secret ways to make it tastier and softer, that’s the real secret. Do it right the first time. It’s really simple. You can add more acidic items to the marinade like a splash of vodka, but I think you’ll find you won’t need to. Finally I like to sprinkle hot paprika on the shashlik as it’s cooking, for a spicy kick. 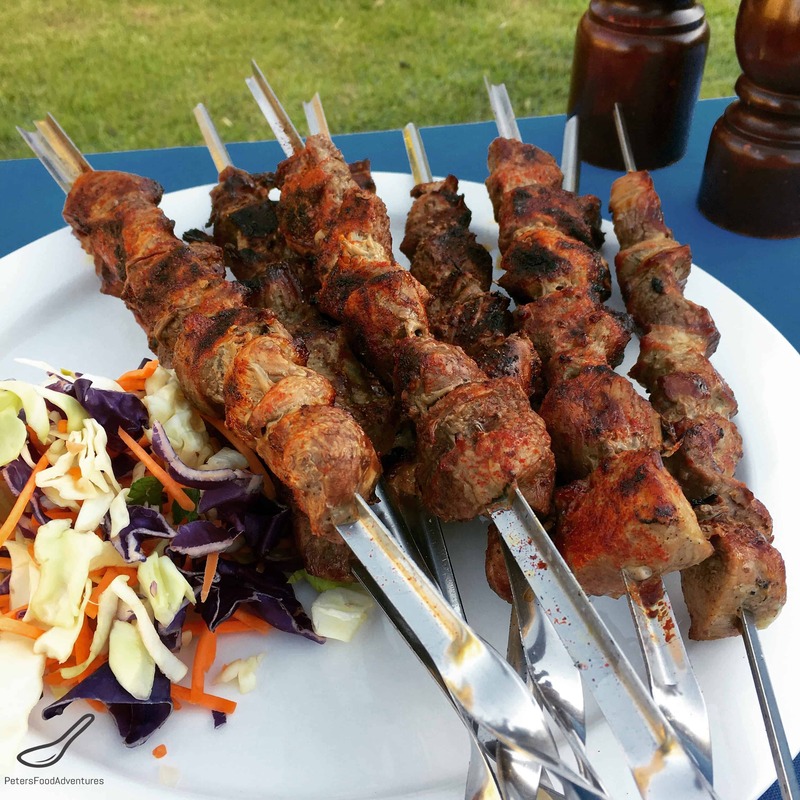 Give this Russian Shashlik Recipe a try. Quality meat, onions, spices/herbs and water. If it feels too simple, use sparkling mineral water instead of tap water for a more believable story. But that will be our secret. Bon Appetit! Приятного аппетита! 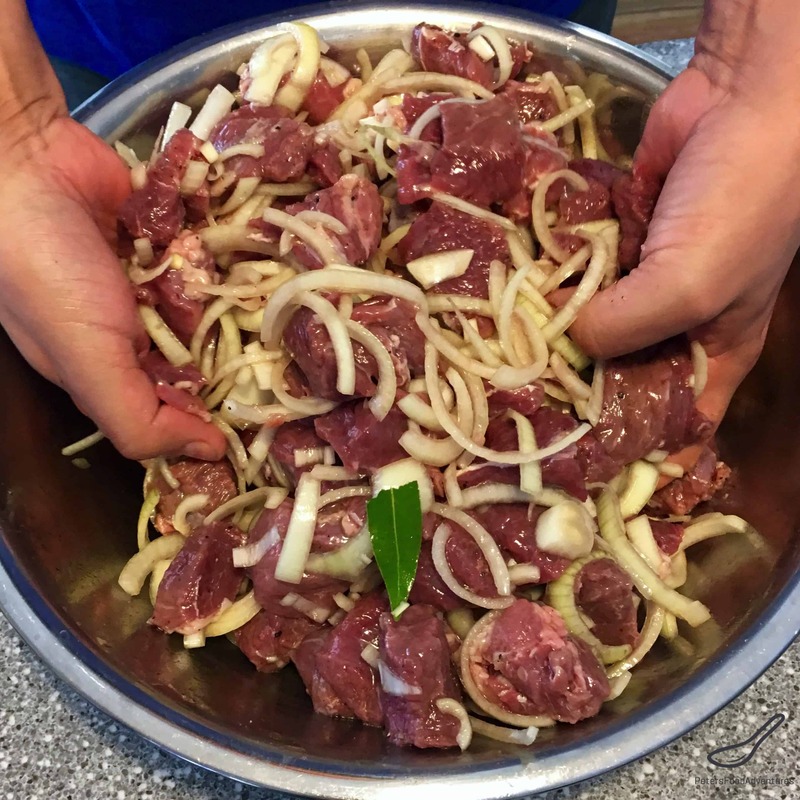 In a large bowl, combine the lamb, sliced onions, bay leaves, salt, oil and water. Using your hands, mix them all together set aside in the fridge to marinate overnight. If in a hurry then for minimum 4 hours. Thread the meat pieces onto metal skewers, about 6 per skewer, with any fat positioned towards the outside of the skewer. Prepare the mangal. Place charcoals in the mangal, and light and allow to burn for about 30 minutes, or until the charcoal is all white. You mangal is ready. 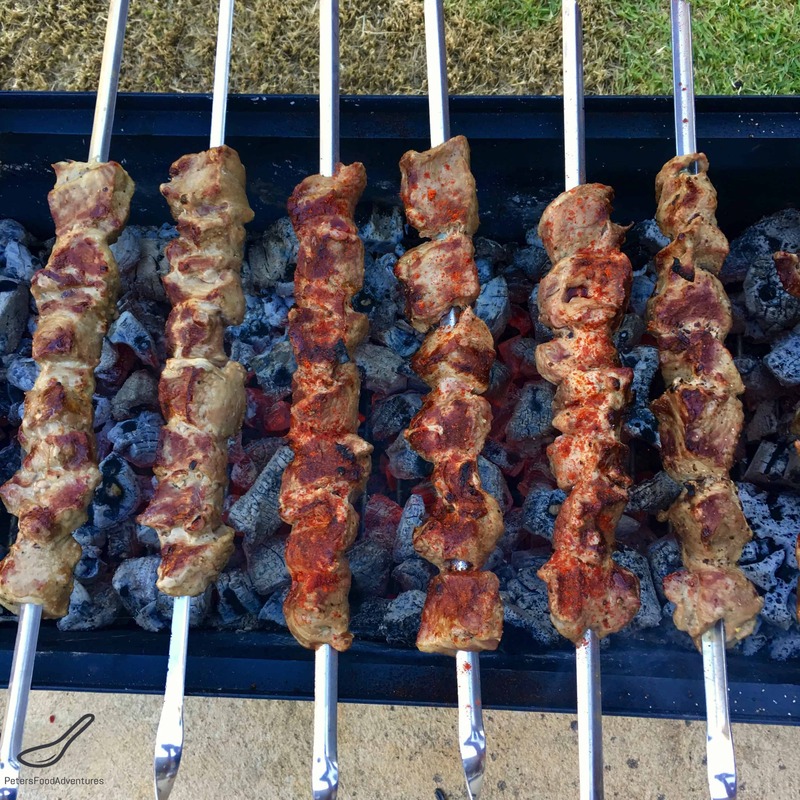 Place the skewers on the mangal and cook until the meat is cooked. 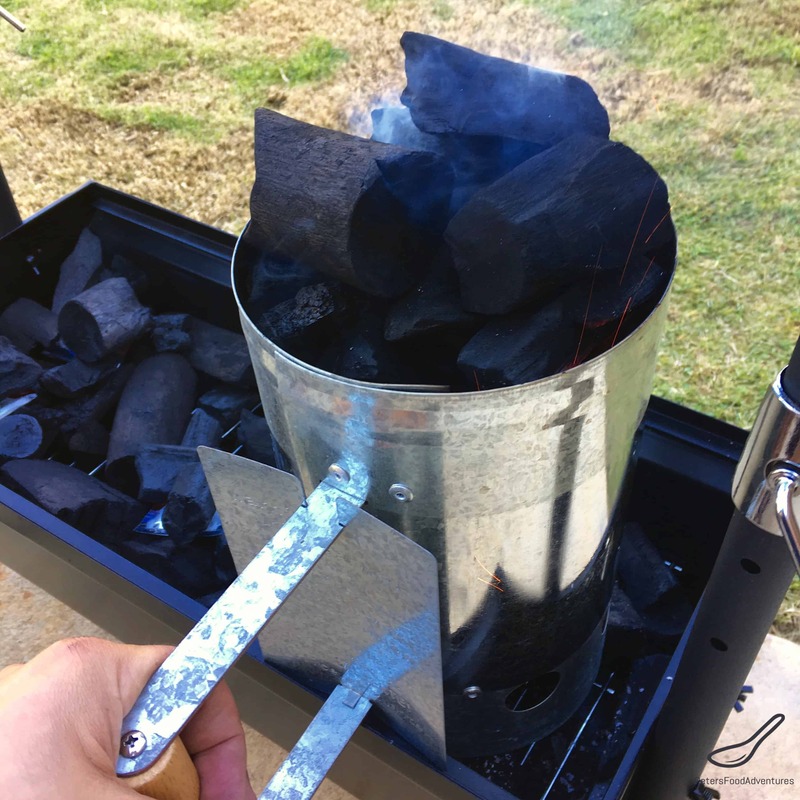 The length of time is determined by the heat and height from the charcoal. Don't burn your meat! Keep turning the shashlik as it cooks, so it doesn't burn. I like to add hot paprika spice directly on the skewer for a spicy kick. I’m reading this with a glass of red wine (not marinating with!) and dying for the Shashlik!! Thanks for making these for us, it was such a privilege and absolutely amazing. True shashlik has lemon juice and onion and teaspoon pepper, that’s it. Juice of lemons squeezed to saturate all the meat. Onions chopped and added liberally. Marinade for 24 hours and gently brown over briquettes. The meat shouldn’t be cooked all the way through, just the outside. The lemon juice pre-cooks the Shashlik during the marinade phase. Add pinch of sea salt to taste, shake n toss in bowl to spread the salt, Boom! Old school shashlik. Best treat ever. An old molokan family recipe from Russia. Thanks for checking it out. I’ve not heard of adding lemon juice to shashlik before, but it certainly could work as it’s just another form of acid. Like I mentioned in the post, many people add everything from kefir to vinegar to pomegranate juice to shashlik recipes. 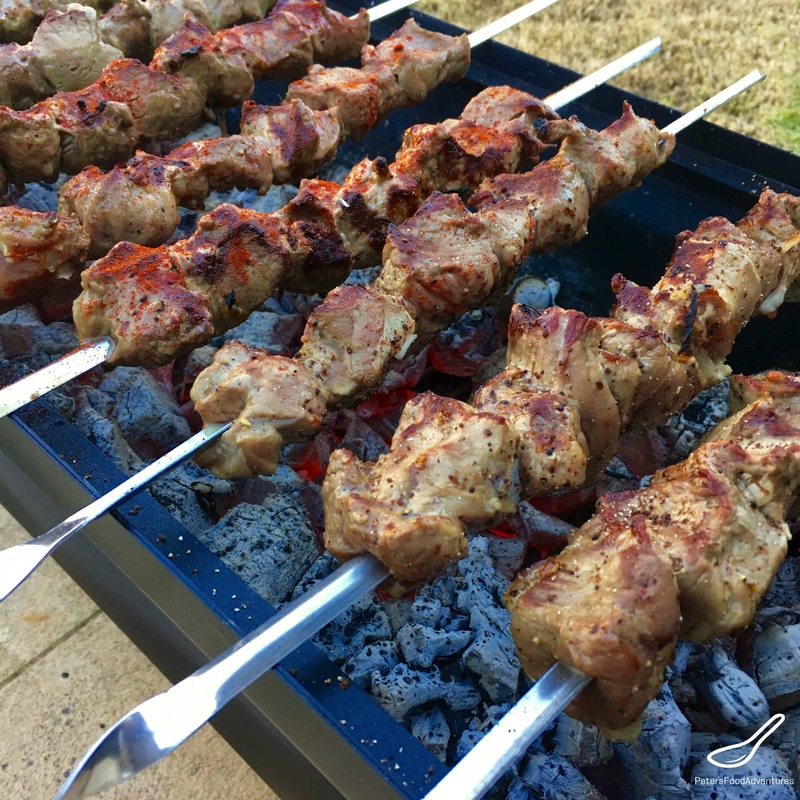 So many delicious ways to enjoy shashlik! Very good recipe. Followed exactly and was super juicy and flavourful. The leftover marinated onions were very flavourful for other dishes I cooked as well. I sprinkled cumin spice with the paprika while bbqing. Fantastic.